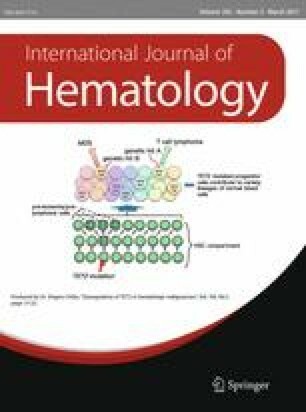 Ruxolitinib is a potent JAK1/JAK2 inhibitor that has demonstrated durable improvements in splenomegaly, symptoms, and overall survival in controlled clinical trials in patients with myelofibrosis. The single-arm study reported here was initiated to collect further safety and efficacy data in Japanese patients with myelofibrosis and is the largest study of ruxolitinib in this population. The primary objective was to assess safety. Secondary endpoints included changes in spleen size and patient-reported outcomes. The primary analysis occurred when all patients (N = 51) completed 24 weeks or discontinued. Overall, 86.3% of patients completed treatment; 9.8% discontinued due to adverse events (AEs). Consistent with previous studies, the most common AEs were anemia (62.7%) and thrombocytopenia (29.4%). Furthermore, levels of select immunologic biomarkers remained stable, and no deaths occurred. At week 24, 30.0% of evaluable patients experienced ≥50% reductions from baseline in palpable spleen length; 26.0% had ≥35% reductions in spleen volume. Additionally, ruxolitinib led to clinically significant improvements in symptoms and quality of life. Overall, findings from this study indicate that ruxolitinib is safe and effective in Japanese patients with myelofibrosis, with these benefits extending to patients with intermediate-1–risk myelofibrosis and to those with low platelet counts. The online version of this article (doi: 10.1007/s12185-016-2130-z) contains supplementary material, which is available to authorized users. An erratum to this article is available at http://dx.doi.org/10.1007/s12185-017-2196-2. Osaka University Hospital, Kenji Oritani; Gunma University Hospital, Hiroshi Handa; Kyusyu University Hospital, Katsuto Takenaka; Jichi Medical University Hospital, Tadashi Nagai; Medical Hospital of Tokyo Medical and Dental University, Tetsuya Fukuda; Tokyo Women’s Medical University Hospital, Junji Tanaka; Nippon Medical School Hospital, Koichi Inokuchi; Kurume University Hospital, Koji Nagafuji; Kobe University Hospital, Hironobu Minami; Nagasaki University Hospital, Tomoko Hata; Kinki University Hospital, Itaru Matsumura; Kumamoto University Hospital, Yuji Yonemura; Ehime University Hospital, Jun Yamanouchi; Tohoku University Hospital, Kenichi Ishizawa; Tokyo Metropolitan Komagome Hospital, Kazuteru Ohashi; Hokkaido University Hospital, Takanori Teshima; Kyoto University Hospital, Akifumi Takaori; Kansai Medical University Hirakata Hospital, Shinya Fujita; Okayama University Hospital, Mitsune Tanimoto; Sapporo Medical University Hospital, Tsutomu Sato; Matsuyama Red Cross Hospital, Tomoaki Fujisaki; Nagoya City University Hospital, Sinsuke Iida; Gifu University Hospital, Hisashi Tsurumi. Editorial assistance was provided by John Togneri, PhD, and was funded by Novartis Pharma KK. TI., K. Ohishi, and K. Ohyashiki have nothing to disclose. N.K. has participated in advisory boards and speakers bureau for Novartis Pharma KK. K.K. has received honoraria from Novartis Pharma KK: K.S. has received honoraria from and has been a consultant for Novartis Pharma KK. N.T. has received grants from Novartis Pharma KK, Pfizer, Daiichi Sankyo, Kyowa Hakko Kirin Co., Ltd., Fujimoto Pharmaceutical, Otsuka Pharmaceutical, Toyama Chemical, Chugai, Asahi Kasei, and Eisai and personal fees from Novartis Pharma KK, Pfizer, Kyowa Hakko Kirin Co., Ltd., and Otsuka Pharmaceutical. H.O., T.A., and T.Y. are employees of Novartis Pharma KK. K.A. has received research funding and participated in speakers bureau for Asahi Kasei, Shionogi, Astellas, Celgene, Chugai, Bristol-Myers Squibb, Kyowa Hakko Kirin Co., Ltd., and Novartis Pharma KK. and has been a consultant for Kyowa Hakko Kirin Co., Ltd., and Novartis Pharma KK.